You can search for anything - history, dining, lodging, activities, etc. by category - by going to the Search By Interest menu bar on the right of any page >>>>>. SouthernArizonaGuide.com has maps to all the places we recommend, including attractions, restaurants, and lodging accommodations. And we have recommendations based on our experience to help you easily navigate your way to the best that Tucson and Baja Arizona have to offer. I set the criteria and take personal responsibility for recommending these places to you. But in the process of making my choices, I consulted with a lot of other discerning people just to make sure I get it right. So, our reviews are a collaborative effort and that’s why I refer to them as “our” recommendations. Our recommendations are based on several factors, including “originality” and “authenticity”. We suggest places for dining and overnight accommodations that have a well-deserved reputation for excellence, but are also unique to Baja Arizona. Regarding our lodging recommendations, I don’t usually stay in local resorts or bed & breakfasts because I live here. But I did my homework and checked with dozens of discerning people I know well about their experience at various highly rated resorts, guest ranches, and B & B’s. I also combed dozens of travel magazines, such as Arizona Highways, Gourmet Magazine, and many other sources to consider their recommendations. And, perhaps as important, I personally know all of the proprietors or managers of those lodging accommodations we do recommend. It also helps that we get a lot of feedback from visitors to this website. One unique feature of this website is our videos, slideshows and pictorials. You will find at least one video or slideshow related to each of our recommended Destinations & Attractions. You will also find articles about the unique history and cultural heritage associated with those places we recommend. 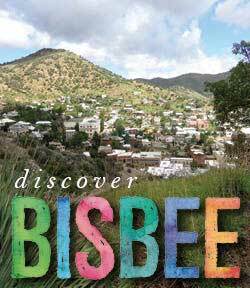 For example, you will find historically accurate stories about significant events, such as the aftermath of the Gunfight at OK Corral, now known as the Earp Vendetta Ride; and the botched payroll robbery that became The Bisbee Massacre. Our hope is that these stories will enhance your knowledge and enjoyment of our many historic sites, such as our missions, restored train depot, and even archeological sites. All of the original videos were recorded in High Definition. If you see them in somewhat lesser quality, that is the limitation of Internet bandwidth. Each of the videos are set to play after they load for about 12 seconds. Another unique feature of our Guide is the many interviews conducted with people who are exceptionally knowledgeable about the places we recommend. These experts share their local knowledge to enrich your understanding and enjoyment of the places you will be visiting. I thoroughly enjoyed learning from them and I think you will too. For example, you will meet Anita, the Park Ranger who has been researching and teaching about the old Tumacacori Mission for 20 years. And Dr. Jay, a long-time resident of Tombstone, who knows the history of the Town Too Tough To Die as well as anyone. And Aubrey, the Desert Museum docent from South Africa who will tell you about the great raptor that’s perched on his arm. And many more. Southern Arizona Guide also features an Events Calendar so you can enjoy local stage performances, art & music festivals, street fairs, and historical reenactments along with the rest of us. Over time, I will add or update videos & slideshows of many of our annual events, such as Tombstone’s Helldorado Days, Tubac’s Art Festival, and the 4th Avenue Street Fair. Depending on the month of your visit, you might want to add some local events to your itinerary just for the fun of it. For a quick look at the weekend visit our Featured Events page. Many people ask us about local activities for their children. Of course, our recommendations depend on the children’s ages, but there are lots of fun activities for kids of all ages. Most of our recommendations are what we did with our grandchildren over the years. So, they’re kid-tested and approved. In order to continually update and improve our website so that it’s as interesting and useful as can be, we do accept advertising to help defray the costs. If you're interested in advertising with us, please go to the top menu and Advertise. We encourage you to send us feedback on the destinations, restaurants and other places you visit here. Whether negative or positive – we want to know so we can share your experience with other visitors to this site. Click here to Comment. If you have questions, email us at [email protected] and we will try to help or get you to the people who can.